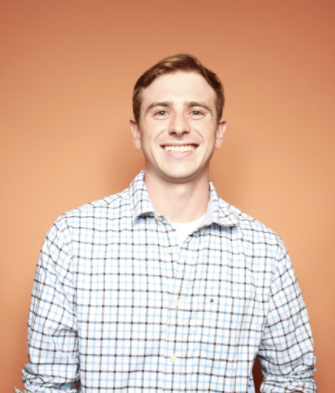 When I was on HubSpot's customer support team, I became one of their first chat representatives — and after working on phones and email support my entire career, moving to live chat immediately changed my perspective of customer service. It was a medium that provided the perfect balance between phone and email support, and I saw my productivity skyrocket in a way that I wouldn't have ever imagined. I wasn't alone either, and after the support managers observed this improvement for other reps, the chat team quickly expanded. What started as a small team of 10 has now inflated to over 50 reps, who provide 24/7 support to customers around the world. While this may seem like an aggressive approach to some, HubSpot isn't the only company who has invested into adopting live chat services. Live chat is quickly gaining ground as a fundamental component for providing omni-channel customer service and support. In fact, a study conducted by Forrester Research shows that the adoption of chat support has nearly doubled since 2009. 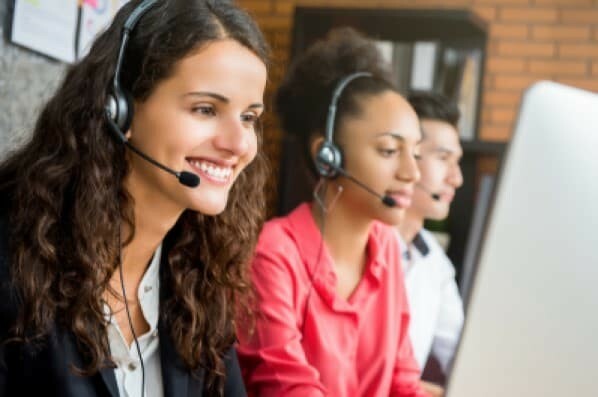 Many companies are realizing the potential benefits that live chat can add to their customer experience as well as the advantages it creates for customer service and support teams. 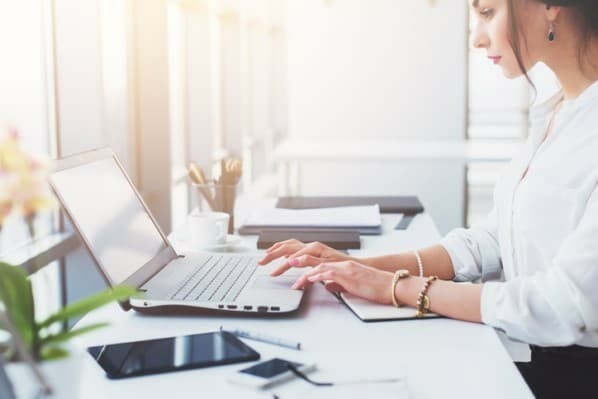 There are many reasons to add a live chat service to your website so it's important to understand the different benefits it can provide for your business. Why Use Live Chat for Customer Service and Support? Whether we like it or not, live chat is becoming a standard support channel in customer service. Forrester Research has found that 44% of online shoppers believe live chat is one of the most important services to include on a company's website. So, even if your organization doesn't believe in adding chat to its website, your customers will expect you to eventually. As more and more businesses continue to adopt chat services, you don't want to be behind your competitors when they're boasting about their new multi-channel support systems. Another important reason to include live chat on your website is for how it can improve the customer experience. Chat support offers some unique benefits that phone support simply can't match. For example, a 2016 study found that the most popular pain point that customers experience is being placed on hold for too long. Chats may have slight lulls in the conversation, but they never include a formal hold because reps have additional time between responses to research and prepare a solution. This dramatically improves the customer experience because it essentially eliminates holds all together. Chat support can also influence customer experience because of its ease of use and constant availability. Studies show that 66% percent of customers expect an immediate response or resolution when using a live interaction for support. Additionally, Forrester found that 53% of customers indicated that they would abandon an online purchase if they couldn't get an immediate response from the support team. Live chat remedies the need for immediate support because the widget can be displayed 24/7. Reps can guide users all the way through the customer's journey and help them confirm their purchase. Even if reps aren't available, chatbots can be used outside of support hours to point customers to your self-serving resources, like your knowledge base. 50% of consumers reported they no longer cared if they're working with AI or a regular person, and many people can't even tell the difference between working with a human or a bot on chat. Whether its routing new chats or solving simple problems, these bots can help increase the bandwidth of your customer service and support teams without having to expand your payroll. If your team hasn't already done so, adding a live chat app to your website should be on your to-do list. To help you narrow the search, in the section we listed the best live chat apps to consider for 2019. While live chat apps are seemingly abundant, each one can offer slightly different features. To get the right one for your target audience, it's important to consider an app that will best suit your customers' needs. Here are eight apps that we recommend for adding a live chat to your website. LiveChat is a messaging app that offers a variety of unique features for its live chat service. It can be integrated with most CRM's and website platforms. One of its most notable ones is its "message sneak peek" feature which can show customer service reps what customers are writing in the chat before they send it. That insight gives the rep additional time to prepare an answer so they can respond immediately to the customer. This creates a better customer experience while improving the individual rep's overall productivity. LiveChat also offers a labeling system that allows users to label each chat for further analysis. Users can then rank and search previous chat transcripts by their label and analyze trends across all of the chat support cases. This organization allows customer service teams to see which support cases are the hardest to handle over the chat channel. Pure Chat is a free live chat tool that is designed to help businesses add their first live chat feature to their website. It allows users to customize their chat widgets using a range of different design options, including one where you can upload your own images. Some chat apps aren't nearly as flexible with design, but Pure Chat allows you to create a widget that closely matches your company's branding. They also offer a separate email form that can be used when chat is unavailable. The form is displayed during your team's off hours and sends an email to your inbox regarding the missed chat. Instead of missing an opportunity to provide support, your team can follow up via email as soon as you're back in office. HubSpot's Service Hub includes a variety of customer service and support tools that can be used to create an omni-channel experience. One of its most notable features is its conversations inbox that allows users to centralize email, phone, and chat cases into one accessible location. Users can easily navigate to this inbox and work on any type of support case without having to switch tools or platforms. Another useful feature is the ticketing software function that can be used when following up on complicated support and service cases. Reps can create a ticket for the customer that logs the interaction beyond the live chat. Both the rep and the customer can then return to that ticket at any time to continue working on a case. This is great for customers as it allows them to reopen a case if they have any additional questions for your rep. If you're looking for chat analytics, Olark offers a live chat service with "up-to-the-minute live chat metrics." With Olark's tool, you can observe data like chat volume, customer satisfaction, and agent activity at a moment's notice. This can help customer service managers make logistical day-to-day decisions when staffing their chat support team. They can even send a daily report to your inbox. Aside from the metrics, Olark also has automation tools that can help your team open and route new chats. This includes tools like pre-written messages which can be sent automatically and save your customer service team valuable time while moving between chats. Chaport offers some unique live chat tools that can help create a more personalized chat experience. One example is its auto-invite tool that can send automatic chat invites to visitors based on a set of rules. This allows you to target a specific type of customer based on the visitor's traits or behaviors. You can identify customers who are likely to convert or likely to get confused and engage with them at timely opportunities. Another personalization tool that Chaport has is its group chat feature which allows reps to transfer or join another chat in real-time. Instead of having to schedule a time to speak with a product expert, customer service reps can just add the resource directly into the chat. This not only saves the customer's time, but it also creates an experience that feels dedicated to the customer's success. Freshchat's app focuses not only on the first interaction with the customer, but also on building the relationship with them after the chat. It includes a user segmentation tool that can segment users based on actions they did or didn't perform. You can then prioritize and reference these user groups when interacting with similar customers in the future. Freshchat can also pull data from a CRM or email automation tool so that you can see all of your information on the customer during the chat. This can be extremely useful for converting customers who are likely to close or dealing with users who have a history of frustration with the product or service. 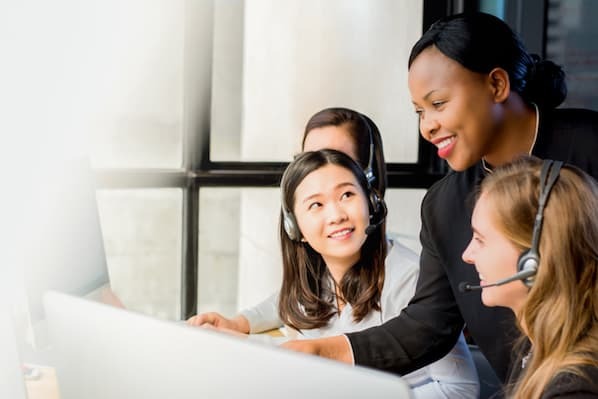 Knowing everything you can about a customer can be a huge advantage for customer service reps as it can significantly impact the customer's experience. Reps can leverage this information to steer the support case to an outcome that they know will make the customer happy. Comm100 is a unique live chat tool because it offers instant message translation for any language. Language barriers can be a major roadblock for international companies and it can be expensive to hire reps who specialize in providing multi-lingual support. By having an instant translator integrated into the chat software, companies can create a more universal service and support offering on their websites. Another interesting feature that Com100 includes is the prioritization option that can label the importance of incoming messages. This function marks cases that are considered to be the highest priority so that the support and service teams can quickly address them. The tool can also highlight individual customers who are the most valuable to your business, so your reps know who they're working with the next time that customer reaches out. Acquire is a messaging app that aims to reduce potential points of frustration for the customer. Its most notable feature is its chat continuation tool which allows customers to continue previously closed chats. If a customer accidentally closes a tab or terminates a chat, they can easily return to the page and continue where they left off rather than having to start all over. This is great for customers who may be working on a complicated issue and don't want to waste time repeating their problem again to another rep.
Acquire's live chat also offers built-in feedback tools that survey and collect customer feedback. These surveys are displayed at the end of every chat and can be customized to the company's liking. Chat can be a great place to capture customer reviews as the survey is prompted right after they engage with the company. This is one of the best times to engage with customers and get their honest and immediate feedback on their customer experience. For more reasons to add a chat app to your website, read about the different advantages that live chat can offer for your business.